English Lunch begin with new Oversea Advisor Ms. Ai Yoshino, to discuss life in oversea etc in English. First English Lunch was held on Thursday May 19th. 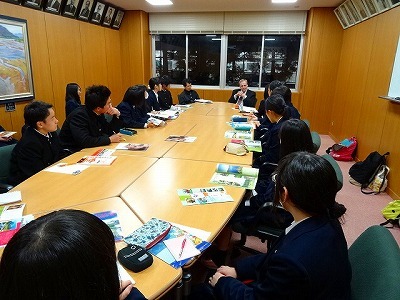 10 students, 2 student teachers who are interested in International Exchange attended and started with self-introdcution. Each students brought their lunch and listend to Ms. Yoshinos talk about her past oversea life experiences. English Lunch will be held weekly. We are hoping more students becomes interested in forign countries and communication in English.